Reserve your spot for the 2018 Prayer Dare for Parents! Registration for the 2018 Prayer Dare will remain open throughout September 2018. PLEASE NOTE, we will not be able to fast forward your subscription or “catch you up” to your desired day. 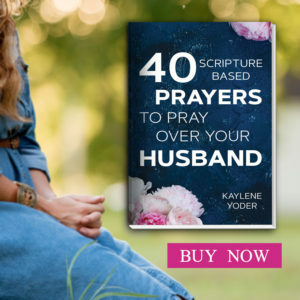 The prayers are scheduled to send out one day apart from each other at 2 AM Central, starting Sept. 1, or from the date you join. IF YOU ARE ORGANIZING A GROUP, please have all members join on the same day so you will all receive the same prayer on the same day. All the prayers sent via email are free. You may invite your friends to join and they will receive all the prayers for free as well. Use the signup forms on this page to save your spot. Again, all the prayers are free via email. Use the signup form on this page to reserve your spot. 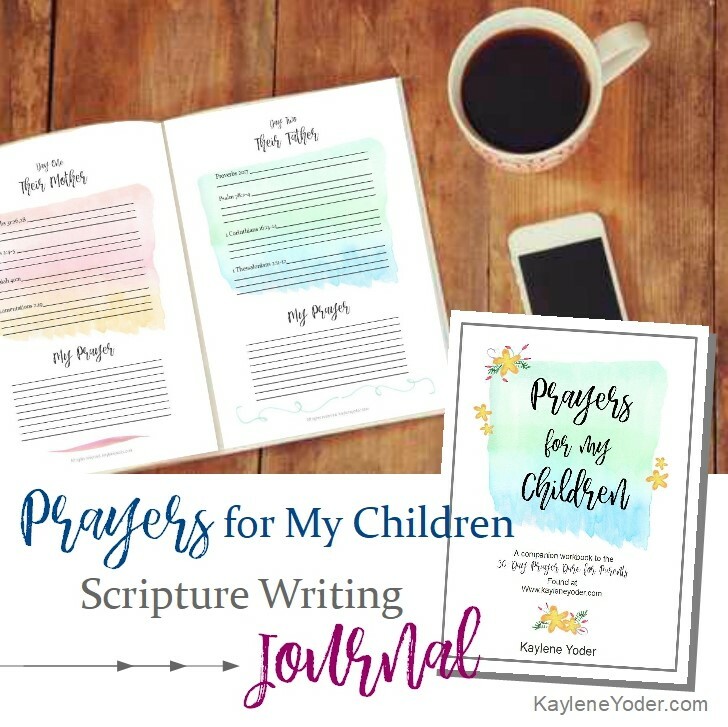 However, we have also designed a 35 page Prayers for my Children Scripture Writing Workbook and Personal Journal to enrich this prayer journey. daily Scripture Writing assignments that follow the topics of the daily emailed prayers. The workbook/journal is $5.00, and delivered in digital form. Just print, bind, and expect God to show up big time. You may purchase now or later. **All payments will be made through PayPal. All products are delivered in digital form to your Paypal email address from SendOwl Downloads. No refunds after any one download has been made. Lastly many of you have asked for our materials to be made available for Bible Study groups. And so, we are delivering! 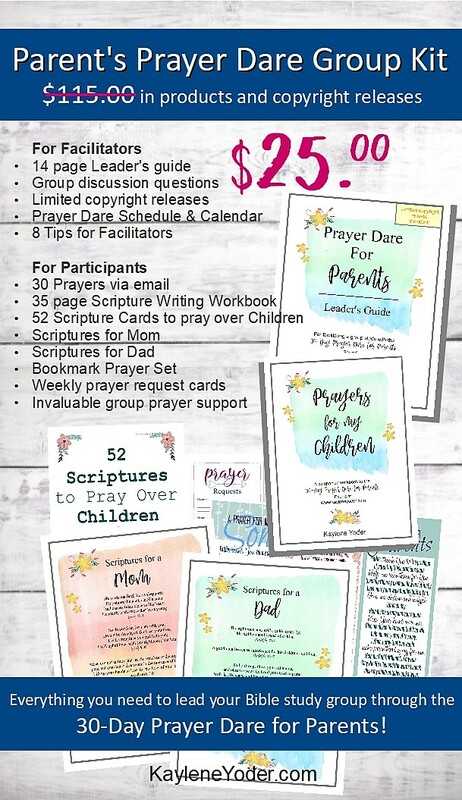 The Parent’s Prayer Dare Group Kit is designed to equip Bible Study groups and facilitators throughout the prayer challenge. 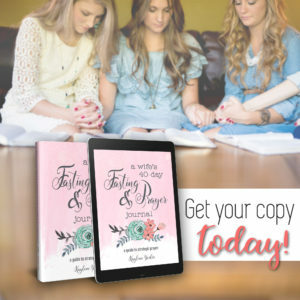 The 35 page Scripture Writing Workbook – Just print, bind, and present. 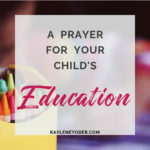 52 Scripture Cards to pray over Children – Just print and present. Or print, cut and gift wrap. 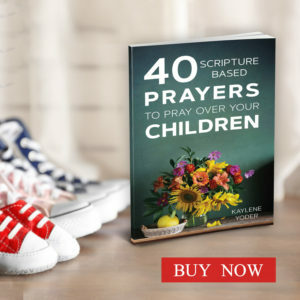 Scriptures for Mom – Just print and gift. Or print, frame, and gift. 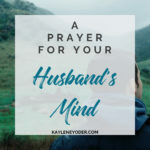 Scriptures for Dad – same as above. Bookmark Prayer Set of 3 – just print, cut and gift. Weekly prayer request cards – just print and provide as you need them throughout the study. 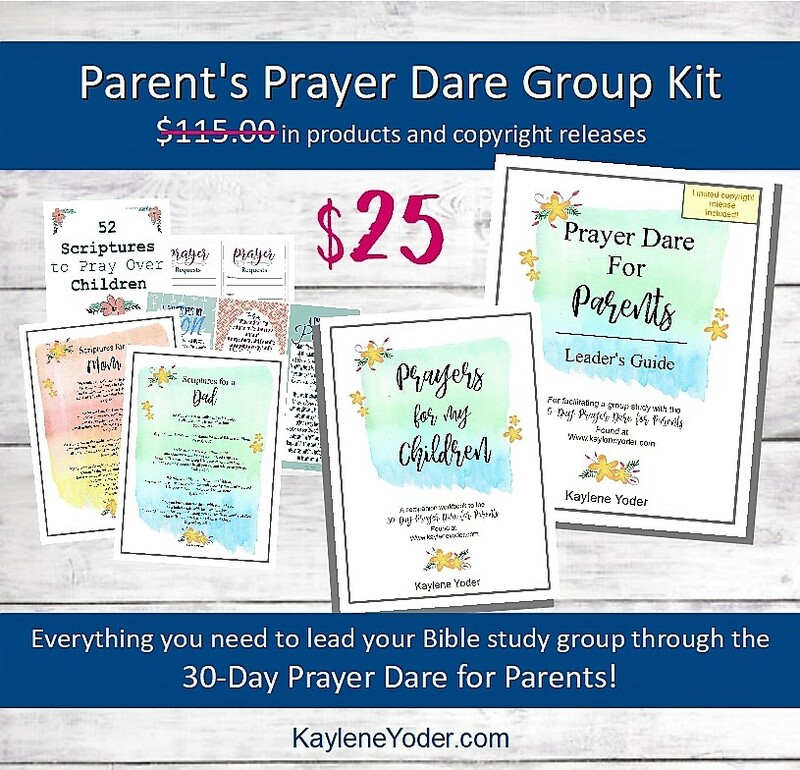 If you have any questions about the Parent’s Prayer Dare Group Kit, please contact me here. **All payments will be made through PayPal. All products are delivered in digital form to your PayPal email address from SendOwl Downloads. No refunds after any one(1) download has been made. 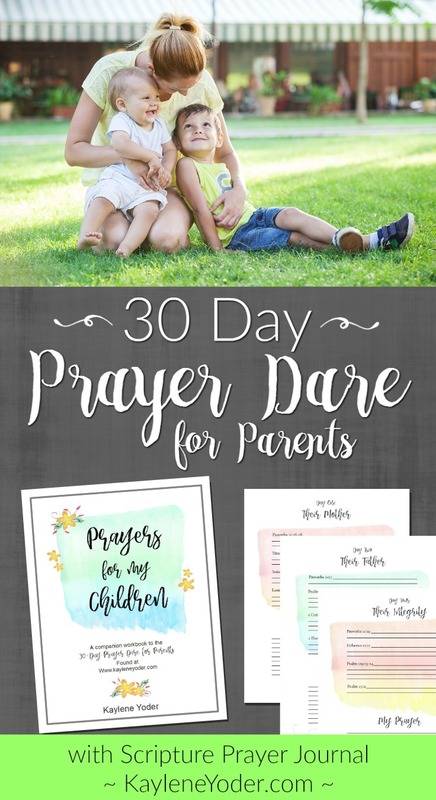 “I joined your 30-day Prayer Dare for Parents to pray over my grandchildren. 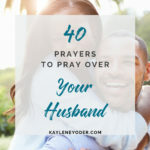 Imagine my surprise to find that the prayers are just as good for my adult children. 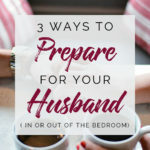 I have one son (31 years old) who is wondering and lost. I haven’t seen or heard from him in years. 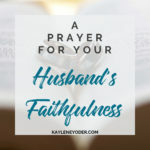 I have been praying these prayers for him and yesterday out of nowhere, he called me. 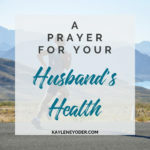 I know it’s because I am praying for him. 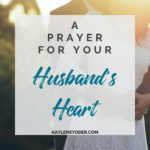 God moved in his heart just like I prayed. 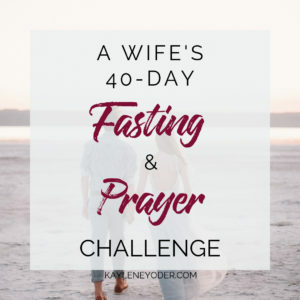 Thank you, thank you, thank you, for these prayers!” ~ Jessica C.
“This prayer dare is by far the best thing I am doing this fall. I’m only on day 4 and I can already see a difference in the attitudes around our home. I know it’s because I am much more calm and I feel stronger and more confident as a mom. 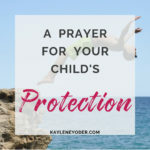 I am sharing this will all my friends!” Rene H.
“I am finding this prayer dare is more for me than my children. 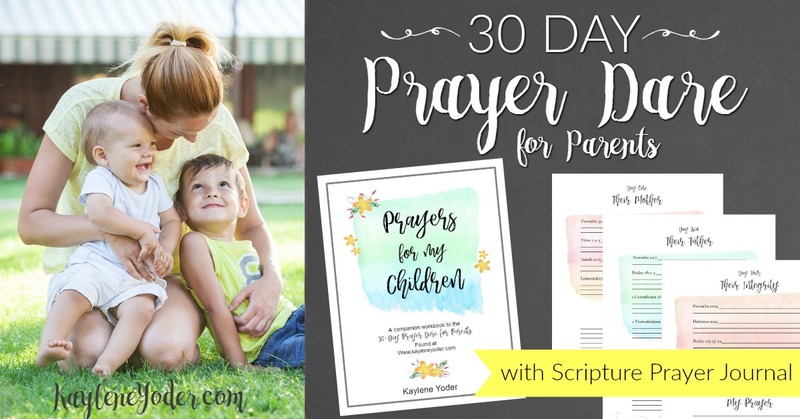 My heart is so much softer, I have more patience, and I actually enjoy being a mom.” Doris L.
Join the 30-Day Prayer Dare for Parents today! Not because prayer magically fixes you, your child, or your situation. 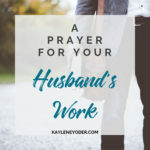 But because prayer sets the tone of your heart and molds your character to be like the greatest Parent of all time, God your Father. Let’s start praying big come September 1st and pray strong throughout the whole month. 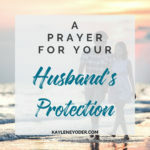 I’ll send you prayers, you just pray them! Deal? Registration for the 30-Day Prayer Dare for Parents 2018 edition closes on Saturday September 30, 2018. 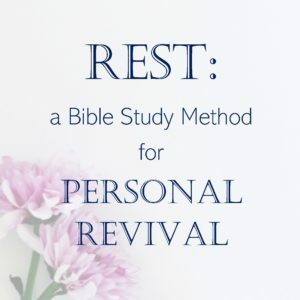 The daily prayers will remain Free with or without your participate in the Scripture Writing Workbook or the Bible Study Group Kit. 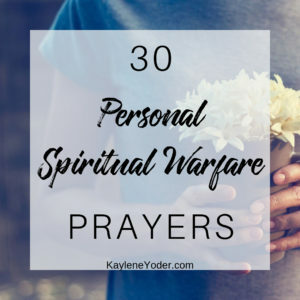 ALSO: By joining this 30-Day Prayer Dare, you consent to receiving access to our Monday site-wide emails which include a “Monday Freebie” section, as well as other exclusive broadcasts. Sound good? See you soon, praying friend!